2855057 Stormtrooper Watch is a Star Wars watch released in 2011. This set is a rerelease of W007 LEGO Star Wars Clone Trooper Watch. 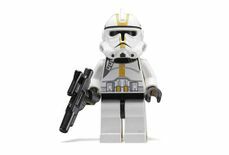 Facts about "2855057 Clone Trooper Watch"